Sometimes we all want to get away ...and Burracombe is the perfect place to escape to. A seemingly sleepy Devonshire village, in fact it's full of intrigue and drama. Family secrets, budding romance, cruel twists of fate and amazing friendships all play out against the backdrop of the beautiful countryside. It's autumn 1953. The village is delighted when Joe Tozer - who left Burracombe as a young man in 1919 - returns to visit his family. His life since emigrating to the States has been a world away from rural Devon - but coming home, he falls in love with the place (and one particular person) all over again. With him is his eldest son, Russell. He sets hearts fluttering in the village - but will there be anyone on his arm when he catches the boat back to America? 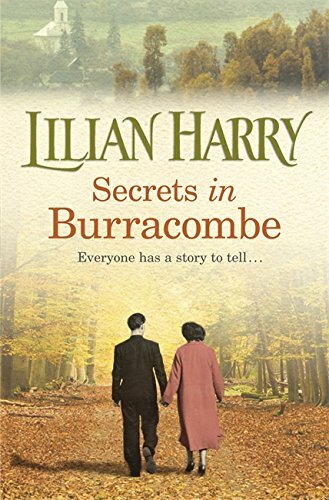 In her latest Burracombe novel, Lilian Harry takes her readers on another wonderful journey through the lives of characters old and new - all of which feel like friends by the novel's end.